We encourage sending the driver a message instead of phoning. Chances are the driver is behind the wheel and getting a phone call while driving is distracting which can be very dangerous. The advantage of sending a message is that the driver does not have to answer it immediately. He or she can read it and answer it when standing still in a zoo or on a break. 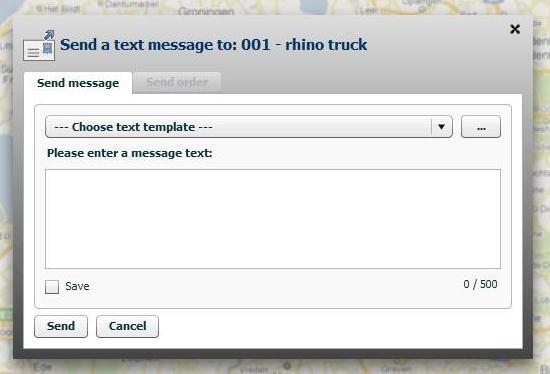 Here you can type your message and send it to the driver. To see a reply of the driver click on the balloon of the vehicle and click on 'Details'. In the bar on the right more information appears. Click on 'Messages' in the blue bar and on the black button named 'Messages'.